Welcome the 2012 Romance Novelist’s Association Romantic Comedy of the Year Nominee, Carole Matthews, who was nominated for her novel "Wrapped Up in You!" Carole Matthews can do it all. She’s written over twenty novels in over fifteen years. More than three-and a-half million copies have been sold world-wide in thirty countries. She’s able to wear sleeveless blouses because she has incredible shoulders, and well-toned arms. And if this isn’t too much, she’s bakes. You have to check out her website, she often posts the most fabulous cupcakes which she not only whips up, but decorates like a pastry chef. 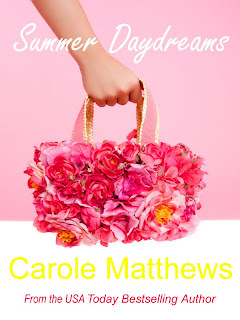 And Carole Matthews has a new novel, "Summer Daydreams," coming out in May (currently available for Kindle though), but we get to visit with her here at Chick Lit Central first. YEAH! Have you ever dreamed of doing something more with your life? In "Summer Daydreams," Nell wonders if it’s possible to have it all. She’s a juggling a job and her personal life but gets the opportunity to live her dream. If you want to learn more about what happens, you can enter to win a copy right here! Carole has one to give to a lucky reader anywhere in the world! 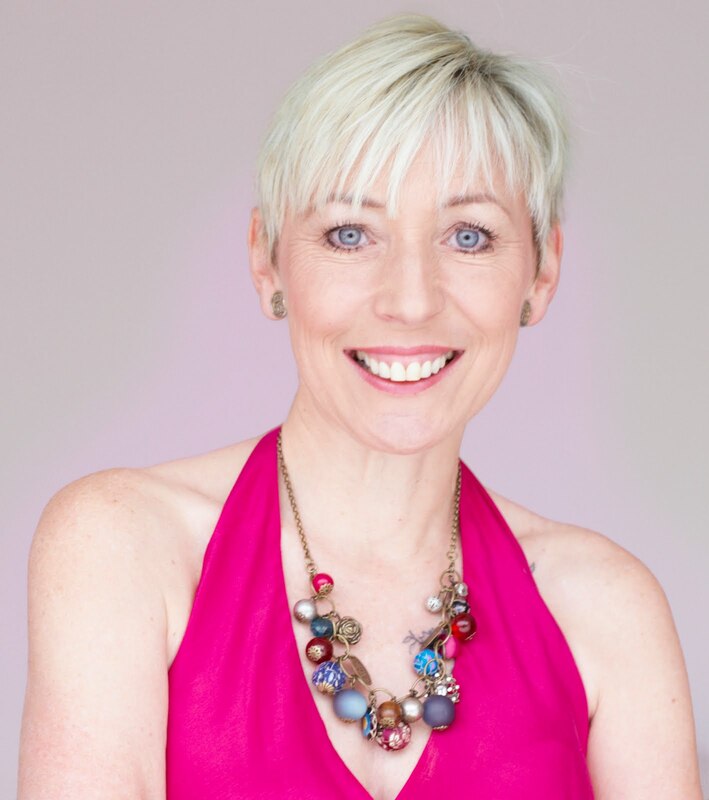 If you want to know more about Carole, you can find her on Facebook and Twitter. Bridget Jones and Mark Darcy. The ultimate chick lit couple! Four Weddings and A Funeral. I think has to be my favourite. I love all of the British romcoms - Notting Hill, Love Actually, Bridget Jones’s Diary. Basically, anything scripted by Richard Curtis. On a picnic, anywhere sunny. Sometimes we’ll just have a picnic in our living room if the weather is awful - well, I do live in Britain! We just put a blanket on the floor, have all kinds of lovely picnic food and, of course, some fizz! Can’t beat it. Afternoon tea at the Ritz Hotel in London. Such a romantic thing to do. The setting is beautiful, the tea is first class, very gentile and there’s a pianist plays throughout the afternoon. We went for my birthday last year and it was wonderful. Everyone really dresses up and the women all put on their finery and men have to wear suit and tie. It instantly turns the occasion into something very special. I think my hero, Dominic, from my last book WRAPPED UP IN YOU would have to be on the list. He’s a Masaai warrior and quite unusual for a hero. He’d be wonderful to spend time with though. I’d also like a date with Daniel Cleaver from "Bridget Jones’s Diary." I do like a bad boy! My partner, Lovely Kev, took me to a lovely hotel in the Cotswolds in England which is home to The Pudding Club. We stayed in their chocolate suite and it was divine. Hmm. So many of them! I think I’ll plump for Hugh Grant and Julia Roberts in Notting Hill. 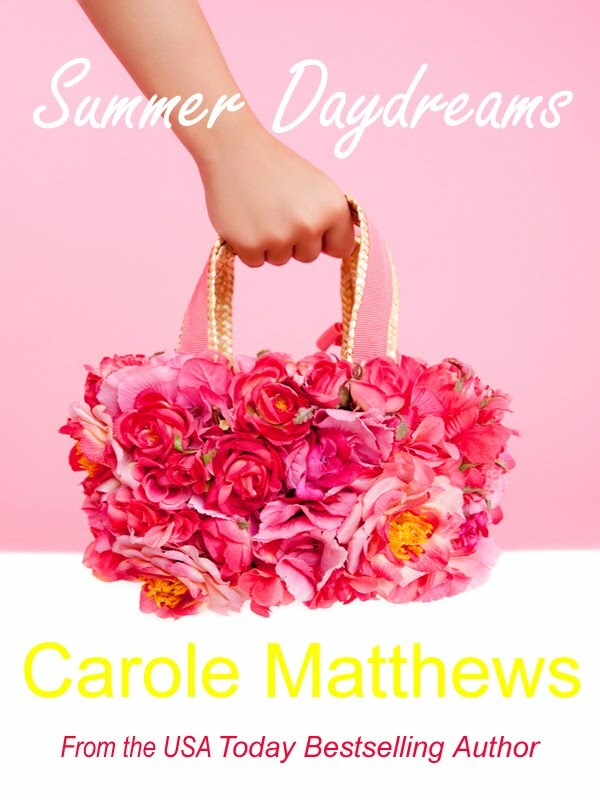 Special thanks to Carole for visiting with us and sharing "Summer Daydreams" with our readers. 1. Please tell us: Who is (or was) your favorite celebrity couple? Giveaway ends March 5th at midnight EST. 5. Will be adding Crystal Dean as soon as I am approved! I couldn't tell if it was international or not so I am HOPING it is!! 1. My fav celebrity couple WAS Rachel McAdams and Ryan Gosling... SWWOOOON! They so should get married and have little babies!! YAY! Thanks for the opportunity! LOVE Carole! 1. Fave celeb couple: I think I'd have to choose Ben Affleck & Jennifer Gardner. Neither is my favorite actor or anything, but together they are so cute & likable and seem to be doing it as "right" as you can in Hollywood! 1. Brad and Jen. Too bad Brad had to screw it up. FYI: LOVE, LOVE, LOVE US cover and I want the bag! -I've always loved low-profile couple Will Smith and Jada Pinkett Smith because I read a quote from them once about how they do not consider divorce an option, but keep working at their marriage all of the time. I think that is such a great goal to work towards! -I am a Facebook friend! My favorite celebrity couple is Freddie Prinze Jr. and Sarah Michelle Gellar! Favourite celeb couple: David & Victoria Beckham. They just seem to totally adore each other and their children. I've just added Katie Tennant to the group. My favorite celebrity couple is Anna Paquin and Stephen Moyer. Would love to win this book as I am itching to read it, having read the synopsis. Carole has the ability to draw you in from page one with believable characters and a tale that keeps you interested right to the last. Ooooo, I love Carole Matthews! Thanks for reminding me that I need to catch up with her latest books! Tom Cruise and Katie Holmes <3 they just seem to be the sweetest family! But I did have to admit, I had to do a Google check just to make sure they were still together, Hollywood these days...I'm never sure who is still a couple anymore. Favorite Couple - Tim McGraw and Faith Hill - they've done it a long time! I follow on email and Facebook. Favorite celebrity couple....hmm. Heidi Klum and Seal. I thought they had it together. Also love Ben Affleck and Jennifer Gardner. Fav celebrity couple: Spencer Tracy and Katherine Hepburn. Jennifer Garner & Ben Affleck. Also, John Krasinski and Emily Blunt. I love reading about Orlando Bloom & Miranda Kerr. Both so beautiful & the bub of course. They're just people! I refuse to get into someone's private life... even if they are a celebrity. Love Carole! Finished the Chocolate Lovers Club recently and thought it was one of the best chick lit books ever! Awesome giveaway! I would say my favourite celebrity couple has to be Chantal Kreviazuk and Raine Maida ... if you don't know, they're Canadian singers and they're just amazing together! I also love the idea of picnics! I don't usually have one indoors---I have "slumber parties" with the kids in my living room instead---but I'll have a picnic any day at the park or in our own backyard! 4. 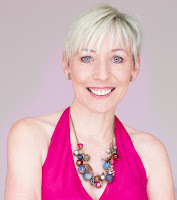 I have requested to join Chick Lit Central on FB. My favorite celeb couple is Jennifer Garner and Ben Affleck! My fave celebrity couple was Ryan Gosling and Rachel McAdams, but sadly, they are no longer together. I am a follower of the blog, have posted the contest on Twitter (@greenurlifenow), and am a member of CLC on FB. My favorite celebrity couple is Reese Witherspoon and Jim Toth. She's likeable and is never in the spotlight for outlandish things. Rather she's family-oriented. Also, I admire a man who can take on a wife with children and love them equally. Oh gosh I have SO many favorite celebrity couples. Let me think about this....I'm going to also have to say Ellen & Portia AND Tom Hanks and Rita Wilson. I say Tom and Rita because first of all they haven't divorced (so many of them do). And they both seem like genuine people. My favorite celebrity couple are Lea Michele and Cory Monteith who are rumored to be dating now in real life. Fav celebrity couple...hmm...Ben Affleck and Jennifer Garner, I would say. I like that they are a couple you hear about a bit less then of all the others (or at least here in Europe ;)). I´m a follower via GFC, twitter and FB. My favorite celebrity couple is Jennifer Garner & Ben Affleck. I think may favorite couple(even though they aren't really a couple) is Ryan Reynolds and Sandra Bullock. They just fit. I wish they were a couple. I liked the post, facebooked and tweeted it. I'm already following the blog and your facebook page! My favorite couple was Christopher and Dana Reeve. They were a true symbol of love and committment.